Maki Sushi With Cream Cheese. 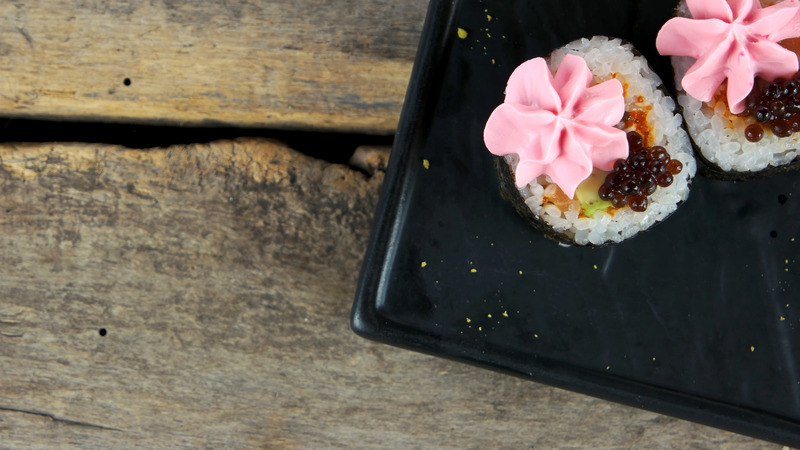 Description: Maki sushi with cream cheese. Asian food top view.